Not Quite Vegas (NQV) tournaments are FREE, non-gambling entertainment. Anyone suspected of gambling will be asked to leave immediately. Under NO circumstances will any games be played for cash or any side bets be allowed. NQV holds multiple FREE tournaments at each venue and all standard Live Action Poker Manual rules adopted by WPT/WSOP apply. NQV Dealers are volunteers that work for gratuities only. Although players are encouraged to tip their dealers for each tournament played, it is not required in order to play in NQV Tournaments. Players must be 18 years or older to be eligible to play in Not Quite Vegas events, however the policies of each individual venue supersede those of NQV, meaning that in most venues players will need to be 21 years or older. Players will be seated on a first come, first served basis. Players arriving after the start of the tournament will be added to the bottom of the player list. Players will be allowed to select their own seats at the table. The dealer will then place 11 cards face up on the table, and the button will start at the highest card. All subsequent tournaments will be seated according to the order in which players are eliminated from the previous tournament. Newly arriving players and players who leave and come back will be placed on the bottom of the list as they arrive. Purchasing an appetizer, entrée, or dessert item at the venue = 1000 chips per tournament. Please note that free food provided by the venue, or outside food brought into the venue, does NOT count. Purchasing an additional appetizer, entrée, or dessert item at the venue = 500 chips ONE TIME. Purchasing a meal for an NQV dealer = 1000 chips one time per night. Purchasing additional drinks at the venue = 500 chips (until the white chips are no longer in play). Drink must be on the table, not just ordered. Players who move “All In” cannot receive additional drink chips until the hand is completed. Wearing an NQV hat or shirt, OR a hat or shirt from that tournament’s venue = 500 chips. Please note that the article of clothing must be on the player’s person and only one such 500 chip will be awarded per game, even if the player has more than one article of clothing. Having an NQV coin card marker = 500 chips. Please note that the player does not need the NQV coin with them if the dealer is certain that the player does own one. Please note that a dealer, venue owner or NQV personnel playing as a bounty will always start with 5500 in chips. No other chips are given except if they buy an additional drink during the game they can recieve 500 chips more. No tournament may begin with less than 5 players, and that is never to include the dealer whom is forbidden to deal AND play at the same time. The dealer BUTTON for the first tournament starts at seat number 11 or the dealer will deal a card to each player. The highest card is awarded the dealer button. If there is a tie, the following standard suit order will be followed: Spades, Hearts, Diamonds, Clubs. The person immediately to the left of the BUTTON will post the SMALL BLIND. The person immediately left of the SMALL BLIND will post the BIG BLIND. Under NO circumstances will a player ever be BIG BLIND twice in a row. The BUTTON can be in a dead position (meaning a position where a player has just been eliminated). The SMALL BLIND may also be in a dead position. The BIG BLIND may never be in a dead position; it must always advance to the next occupied seat. When only two players remain, the player on the SMALL BLIND is the player who has the BUTTON. All blinds will be run for 10-minute increments until the final table. At that point the blinds will run for the number of minutes as there are players at the table. In the first tournament, the timer will be started when all players that were on the list at the tournament start time have been seated. In subsequent tournaments, the timer will be started when all players that were on the list at the end of the previous tournament have been seated. In a multiple-table venue, no player may enter a tournament once tables have consolidated to a final table or once the blinds reach 500/1000. In a single-table venue, no player may enter a tournament once the blinds reach 500/1000. Regardless of the number of tables, no player may enter a tournament once there are only 4 players remaining. If a player leaves the table and has not returned by the completion of the deal, their blinds will be posted (if necessary) and their hand folded immediately. No new player may enter into a tournament and be seated in the SMALL BLIND or BUTTON position. If a player is accidentally dealt a card face up, a card is seen by another player, or a card leaves the table, the deal is completed and the exposed card is replaced with the next card in the deck. The exposed card is shown to all players and becomes the first burn card. If two cards are exposed, a misdeal is declared, and the hand must be re-shuffled and re-dealt. If either the first or second card is exposed, it constitutes a misdeal and the hand must be re-shuffled and re-dealt. The minimum bet is the amount of the BIG BLIND. The minimum raise must be double the previous bet. No STRING BETS. A STRING BET is moving chips into play with more than one motion without a verbalization. If a player goes all-in for less than 50% of what would constitute a full raise in that situation, the action is not considered re-opened for other players still in the hand meaning that all other players only have the option to call or fold. Players are highly encouraged to state their intentions (call, check or raise) before placing chips in front of them. All verbalizations are binding. Any forward motion towards the playing field constitutes a bet. If there is no verbalization prior to a motion, all chips moved towards the pot must be put into play. Players betting out of turn must stand on the bet they make. If a player continuously bets out of turn, after being warned by the dealer, and it is believed the betting out of turn is intentional, a 10 minute time out may be assessed. If a player lacks sufficient chips for a blind, the player MUST bet his/her remaining chips. If the player lacks sufficient chips for a bet, the player may bet his/her remaining chips. A player cannot win more chips from each player in the hand than he has bet. This situation creates a SIDE POT for players with remaining chips. Whenever a player is ALL IN and all betting action is completed, all hands in play will be turned face up. When a player loses all their chips, they are eliminated from play and must leave the table. If two or more players are eliminated on the same hand, the player who started the hand with more chips will be awarded the higher finishing position. As players are eliminated from the tournament, in order to keep the tables balanced, the dealer may re-seat players. When tables are combined to form a final table, the dealer will deal for the button location. The official time for the blind level should be paused during any significant down time. Chips must remain on the table at all times unless a player is reassigned to another table. All cards must remain above the table during play. All cards and chips must be visible to the dealer and other players at all times. Players may not ask advice from any player, spectator, or dealer. If a player exposes their cards to another active player during the hand their cards will be mucked. 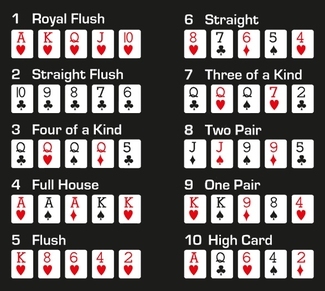 If a player shows their cards at the end of the hand, the cards must be shown to all players (show one, show all). If the cards are exposed prior to the FLOP, the hand is mucked. If the hand is exposed after the FLOP, the hand must be left exposed and all other players have the option to either bet or fold. The player who exposed their cards may only call a bet or fold, they no longer have the option to initiate a bet or raise. A player’s cards are considered mucked when he moves the cards towards the muck pile and releases them. Once cards are mucked they cannot be put back into play. Players will be held to a 30 second decision clock. Players who do not make a decision on playing their hand in that time limit will have their hand mucked. The 30 second decision clock is a tool meant to be used by players whom genuinely need time to make a decision on the pending poker action. It is NOT meant to be used by players at the Championship as a tool to artificially lengthen the time each hand takes to complete. Therefore, any player whom repeatedly employs the 30 second decision clock to waste time will relinquish the right to the 30 second decision clock and will immediately be placed on a 5 second decision clock. Such a decision will be made at the sole discretion of NQV floor and tournament personnel. No SPLASHING the pot. Players must place their bets in front of them, so all players know exactly how much they are betting. No TABLE TALK about a hand still in play. Players may not talk about their hand in any way, shape, or form while others are still playing, unless they are heads up. At a venue: Players who leave the table will be blinded out and their hands folded until they return or they run out of chips, or once three (3) orbits have been completed, WHICHEVER COMES FIRST. A player can never win a game by being away from the table. An orbit is defined as a complete rotation of the dealer button around the table. At the Championship: Players who leave the table will be blinded out and their hands folded until they return or they run out of chips. If the player has not returned after 60 minutes of play, their remaining chips will be removed from the table. A player who announces that they wish to leave and goes all-in prior to the flop without regard to their two cards for three consecutive hands will have their chips taken by the dealer and will be out of that tournament. No player may talk on a cell phone while playing a hand. Dealers are not permitted to “rabbit hunt”, either in the venues or at the Championship. All drinks must be placed in a cup holder, not on the table. No ash trays maybe placed on the table. Please be courteous of non-smokers. To be fair to all players playing the game, the only language allowed during play is English. Players are expected to exhibit good poker etiquette. Inappropriate behavior will not be tolerated and players may be asked to leave the venue/tournament. At the Championship, any player found to be behaving in a disruptive and distracting manner may be punished, up to and including removal from the tournament. Such a decision will be made at the sole discretion of NQV floor and tournament personnel. A player using the “F-bomb” will be warned once. Any further offense will constitute a 10-minute time-out. If a player is given more than 2 time-outs in a tournament, they will be asked to leave the tournament. Any Player caught or is believed to be cheating will be asked to leave and will be banned from playing with Not Quite Vegas. Winners of any NQV Tournaments played at local venues will receive an NQV Players Card. Wins will be entered on the card and their first win will entitle them to a seat in the NQV Championship Event held every 4 months. Players will start with 15,000 chips in the NQV Championship Event for their first win in a local venue tournament. For each additional win in a local venue tournament, they are entitled to 500 extra chips for the NQV Championship Event. NQV tournaments in local venues are considered finished as follows: at a single-table venue, two winners are awarded when there were up to 12 players in the game. 13 or 14 players will equal three winners being awarded, and 15 or more players will equal four winners being awarded. At a two-table venue, up to 24 players will equal three winners being awarded, and 25 or more players will equal four winners being awarded. This is done as a benefit to the players, so as to expedite the beginning of the next game. “Bar closing” policy- if during the final game of the night the venue’s management informs the dealer(s) that the game must end immediately, wins will be awarded as follows: the dealer(s) will award the number of wins that would have been given for that game, times two, based on the chip stacks at that time. All other remaining players will receive two chip cards. For example, if the dealer(s) had permission to award three wins for a game and there are 11 players left at the time they’re told to end the game, the top six players would receive wins and the remaining five would receive two chip cards. These are single wins, even in the event of a double wins promotion. In the rare instance that two players get knocked out on the same hand, leaving just one player left in the game, AND those two players began the hand with the exact same amount of chips, the remaining player will get credit for both wins. If one of the two losing players had more chips than the other, creating a side pot, that person is considered the second winner even if they lost that side pot. Third place player will receive two 500-chip cards. Fourth place player will receive one 500-chip card. Occasionally, NQV will offer double wins as a promotional tool. 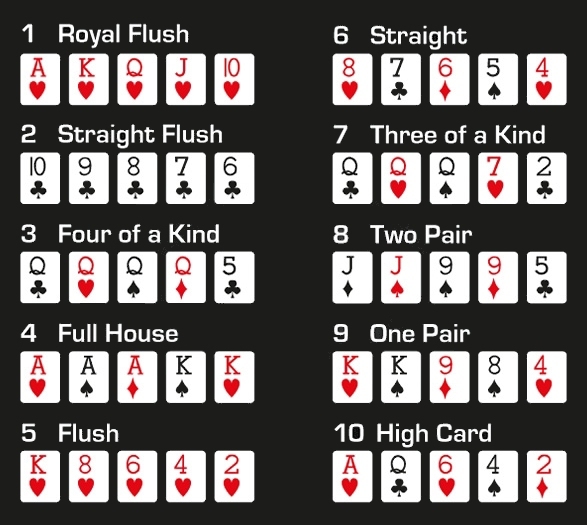 In such an instance, double wins ONLY apply to the tournament game wins and not to wins such as high hand/bounties/straight flushes/etc nor do they apply to a game ended with multiple winners due to the venue’s closing time being reached. The high hand of the night at local venues will receive a win for the NQV Championship Event, providing the hand is Jacks full or better. The player must play tournaments 1 through 5 held during that local venue event. Once the flop occurs, the high hand can be awarded. Any player holding one card to a Straight or a Royal Flush will receive a win for the NQV Championship. Neither can count as a high hand since the player received an automatic win. On occasion, one or more of the NQV Team may chose to sit in and play at a local venue as a Bounty. Any player who eliminates a member of the NQV Team will be awarded two 500-chip cards or a Win for the Championship Event. Players at the final table may choose to “chop the pot” at any time during play, however, this must be agreed to unanimously. NOTE – All Players qualifying for the Championship Tournament should bring their Players Card for verification of their wins. Also, any and all rulings made by NQV floor and tournament personnel will be considered binding and final. Any player suspected of falsifying their Player Card Wins, removing chips from the table, or adding chips to the table, will be eliminated from the tournament. Not Quite Vegas and its personnel reserve the right to ask any player to leave at any time.